4K is the biggest thing in TV nowadays — literally. This format offers four times the resolution of HDTV, and is designed especially for very large TVs, some with screens as large as 85 inches (over 7 feet from corner to corner, measured diagonally). That said, manufacturers are building 4K resolution into smaller sets, currently down to 39 inches. 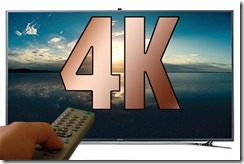 4K (also known as Ultra HD or UHD) is supposed to be the next step up from HD. But while television manufacturers are launching dozens of 4K/Ultra HD sets this year, the rest of the groups in the industry — broadcasters and programmers — have been slow to adopt the format. That doesn’t mean there’s no use for the new sets: All 4K TVs upscale regular HD content for an Ultra HD viewing experience, so you have plenty to watch on a 4K/UHD TV right now. Blu-ray (not Blue-ray) also known as Blu-ray Disc (BD), is the name of a new optical disc format jointly developed by the Blu-ray Disc Association (BDA), a group of the world’s leading consumer electronics, personal computer and media manufacturers (including Apple, Dell, Hitachi, HP, JVC, LG, Mitsubishi, Panasonic, Pioneer, Philips, Samsung, Sharp, Sony, TDK and Thomson). The format was developed to enable recording, rewriting and playback of high-definition video (HD), as well as storing large amounts of data. The format offers more than five times the storage capacity of traditional DVDs and can hold up to 25GB on a single-layer disc and 50GB on a dual-layer disc. This extra capacity combined with the use of advanced video and audio codecs will offer consumers an unprecedented HD experience. 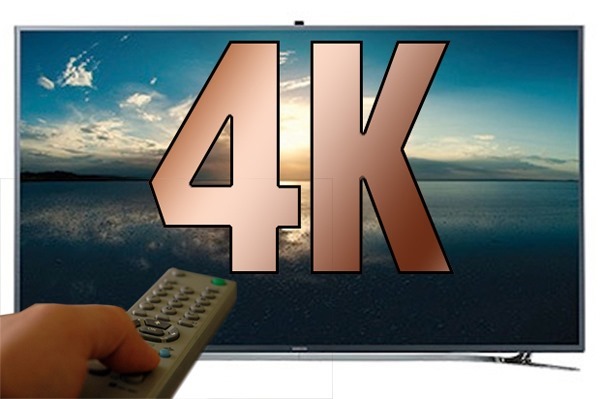 The term 4K, however, is derived from the movie industry designation for the professional format of 4096 x 2160 pixels, and refers to the roughly 4,000 pixels across the screen. With 4K TVs, you get a lot of detail. At 4K, a cityscape may allow you to see individual windows in the buildings, for example, and even the people on the ground walking in and out of the skyscrapers. Just like the Retina display oniPhones and iPads, 4K/UHD technology results in smaller pixels compared to HD screens of the same size, which means you’ll see a more detailed picture when sitting up close. You can’t press your nose to a 4K TV, but you can get about twice as close as you can to a 1080p TV of the same screen size, without seeing the grid of individual pixels. That’s important for very large screens, whose pixels would be comparatively huge at 1080p resolution, but just a quarter of the size at 4K/UHD. According to the International Telecommunications Union, which sets many technical standards, people can sit twice as close to a 4K/UHD TV (1.5 times the height of the screen) as to an HDTV (three times the screen height) of the same size. Whether most people will actually sit closer remains to be seen. At typical living-room distances, the advantages of Ultra HD are less noticeable. The difference between 4K and regular HDTV blu ray is most pronounced on very large screens. Sharp, for example, makes a 70-inch diagonal (approximately 34.3 inches, or 87 centimeters, high) 4K TV. You could sit just 4.3 feet (1.3 m) away from this model, vs. 8.6 feet (2.6 m) from Sharp’s 70-inch HDTV. For hystou mini pc and HTPC, almost all of them support blu ray, like hot sale models C1037u series, i3 and i5 i7 series; for 4k, currently only i7 support.